In our last blog, we began looking at the concept of birth flowers and how we could possibly incorporate them into our corporate flowers for around the office to create an ever-changing, beautiful environment. 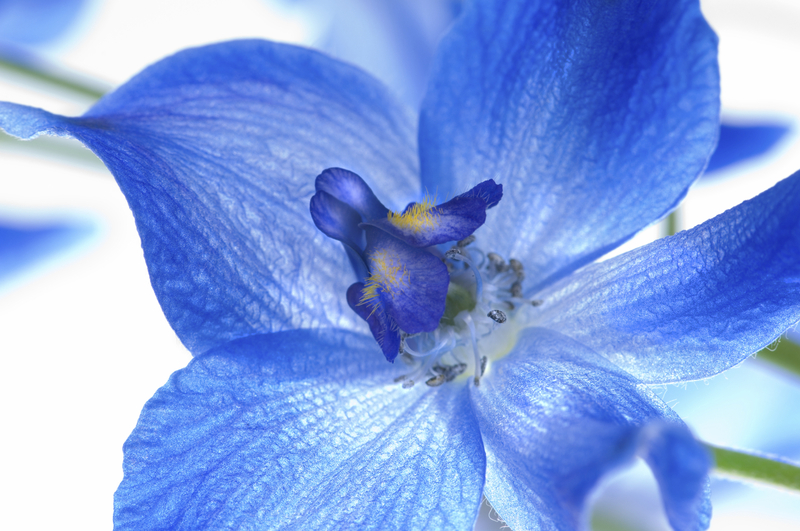 This beautiful flower comes from the delphinium family and can be recognised easily by its bright flowers. The Latin name for this beautiful flower is “consolida” which means “to consolidate”, which supports the traditional use of the larkspur; they were believed to consolidate wounds and were used as a herbal medicine. Larkspur is a very feminine flower and is also said to signify purity of heart. The flower for August is the Gladiolus. 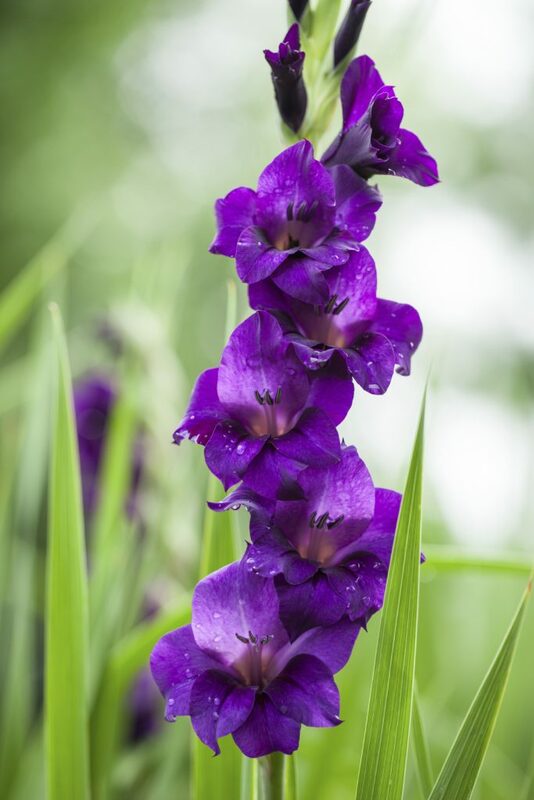 They are native to South Africa and are associated with ancient Rome, where gladiators were showered with thousands of gladioli if they won their battle in the arena. The name gladiolus comes from the Latin word “gladius” which means sword, which is quite a fitting description of the shape of the plant and the leaves, as well as its association with the victorious Roman gladiators. The flower is said to represent moral character and is views as being heroic, again referencing the gladiators of ancient Rome. Gladioli are also associated with a fortieth wedding anniversary, signifying lasting love. This autumn blooming herb is said to symbolise faith, love and wisdom. It’s beautiful daisy-like flowers can bloom in a variety of colours, namely red, pink, mauve, white and lilac. The aster is actually a part of the sunflower family, despite its similarity looks wise to a daisy. It is generally used to celebrate a 20th wedding anniversary. “Asteri” is the Greek word for star, which accurately describes the shape of the flower that blooms. 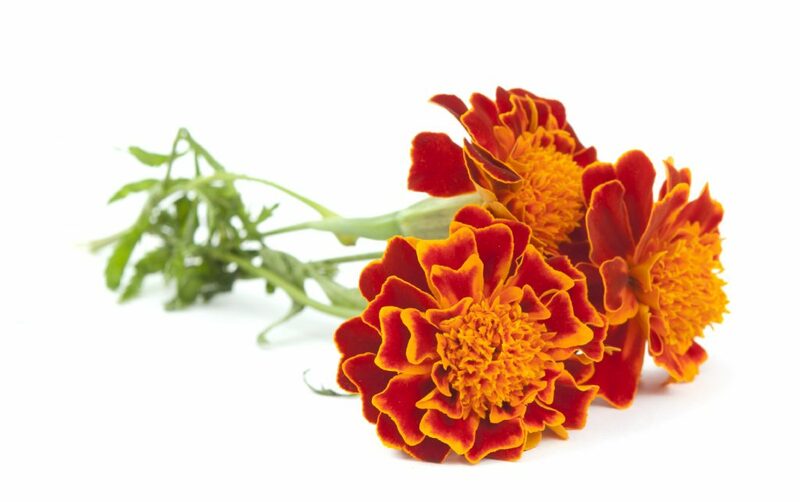 Marigolds were first discovered in the 16th Century in Central America. They have strong links to the Aztec culture and were believed to have magical, medicinal and religious properties. They were also believed to protect sailors during their voyages overseas. The marigold has a beautiful, vibrant colour. Its petals boast an attractive burnt orange colour at the tips, which fades into a strong yellow-based orange. This attractive flower makes for a refreshing decorative piece in any home. Despite the beautiful aesthetics of this flower, the meaning behind it is one or sorrow or sympathy. 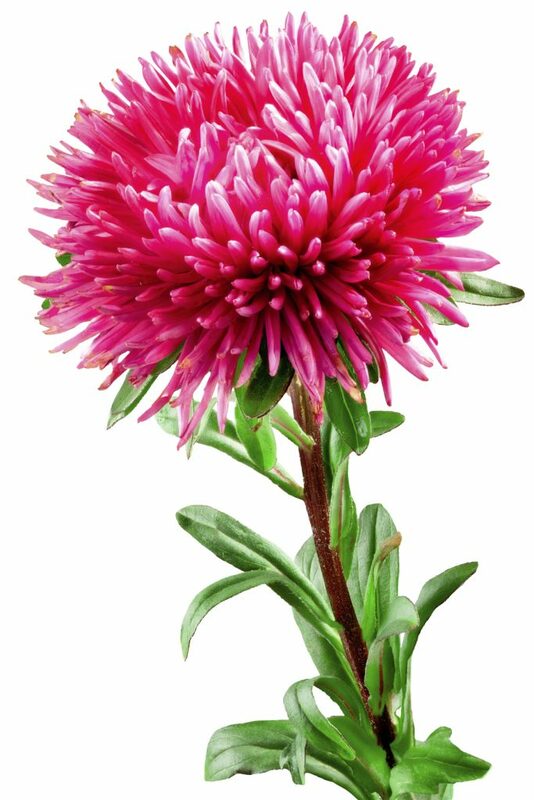 The chrysanthemum is the flower for November and is said to symbolise cheerfulness and love. It is a perennial flower which blooms in the colours pink, red, white, yellow, mauve and orange. In Japan, there is a whole festival which celebrates the chrysanthemum named the “festival of happiness”. They adopted this beautiful flower as the official seal of the emperor in the 8th Century. The chrysanthemum is also given to a mother on Mother’s Day in Australia. It also has a very rich history when it comes to ancient Egypt; King Tutankhamen was said to have been buried wearing a floral collar of chrysanthemum as insects are supposedly repelled by the resins in the plant. 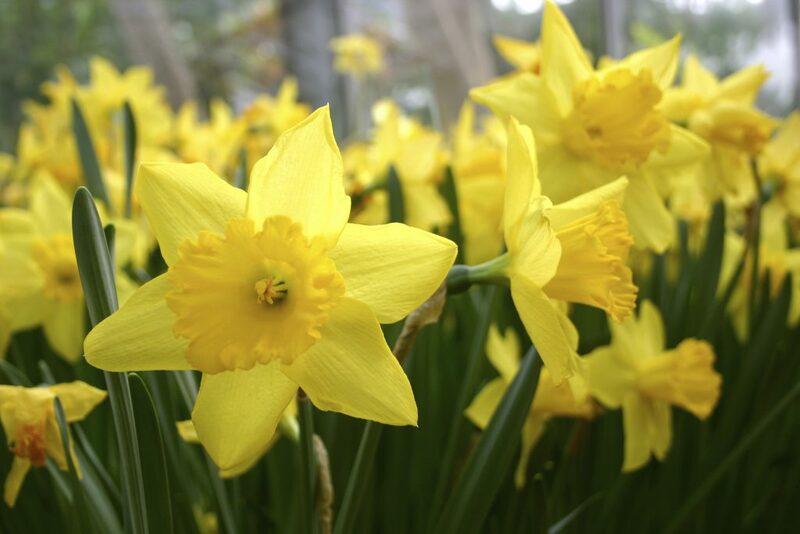 You may be shocked to see this spring blooming flower representing such a cold, winter month, but the daffodil represents the month of December! This well known flower is very easy to identify, with its bright yellow or white flowers and “trumpet” being it’s most prominent features. They are said to symbolise sweetness and hope, which is why they are one of the most popular flowers that charities use as their symbol. They are traditionally given to mothers on Mother’s Day here in England, and are known to bloom around March and April. 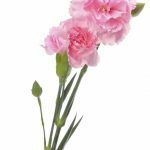 We hope that you have enjoyed our birth flower series and that it has given you some inspiration for decorating your office throughout the year. Here at Jungle World, we love creating attractive displays for your workplace. If you are looking to spruce up your work environment, don’t hesitate to contact us by calling 0208 968 8190 and we will be happy to help you with your enquiries.